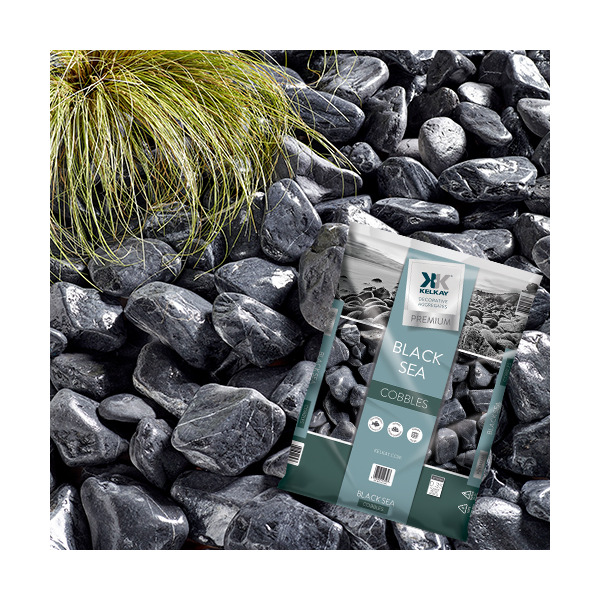 Kelkay Black Sea Cobbles Bulk Bag: The Kelkay Black Sea Cobbles Bulk Bag contains 360-100mm black round and oval shaped cobbles, which are distinctive in style and would add mood to any contemporary landscape. Suitable for; patios, paths, borders, rock gardens and water features. Please Note: Postcodes AB, IV and KW in Scotland and TR in Devon and Cornwall do carry a supplement charge - please call us to discuss these charges.